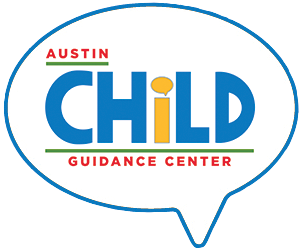 Join Austin Child Guidance Center as we welcome our new Executive Director Kristen Pierce-Vreeke on February 22, 2019. 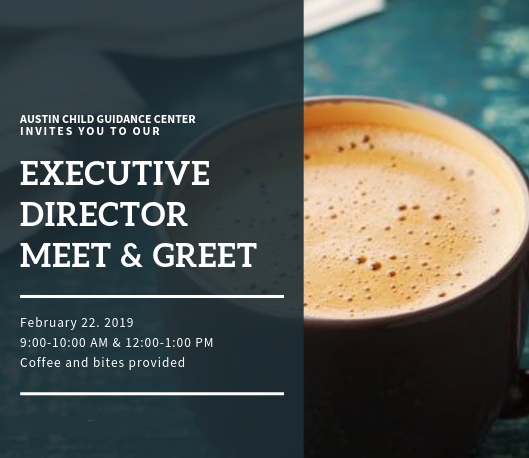 Meeting times are from 9 a.m.- 10 a.m. and 12 p.m.- 1 p.m. with small bites provided. Please confirm attendance to a meet-and-greet session by clicking the yellow "RSVP NOW" button above. About Kristen Pierce-Vreeke: Kristen previously served as the Director of Counseling Services at Catholic Charities of Central Texas and has over 15 years of clinical experience. Kristen has a proven track record of building and leading teams, growing revenue, streamlining operations, and partnering with advancement teams to develop marketing and outreach strategies while maintaining high-level client-centered mental health services.